I had so much fun painting today! This funny cupcake was such a change from the tedious, precise painting that I just finished (my last and final commission piece) that I wanted to jump for joy! 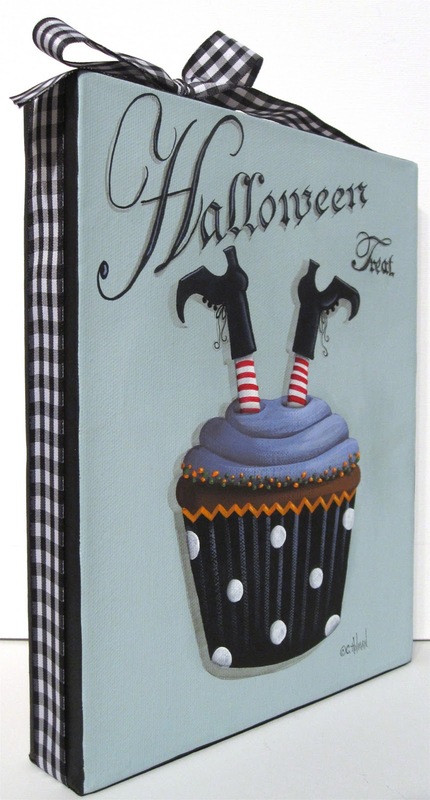 If you are interested in this Halloween painting, it's available on eBay now. Hilda, the witch, has landed smack dab in the middle of swirled purple frosting piled high on top of a pumpkin flavored cupcake. Her feet dangle high above this treat exposing her favorite red and white striped stockings. A black and white checked ribbon is wrapped around the edges of the canvas and is tied in a bow at the top. 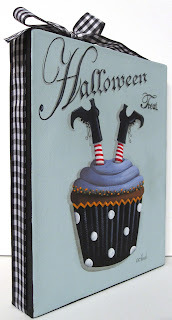 I will be painting like crazy and having a grand time next week with new designs for my online stores. Cathie, I love this cupcake!! I think it is wonderful!! Oh, my gosh - Cathie!! This is just too cute for words! My mom would just love this!! I just might be popping over to peruse the sale!!! It's Melissa from Sunbonnet Cottage. I closed out that blog and started a new one. I hope you can come visit me. 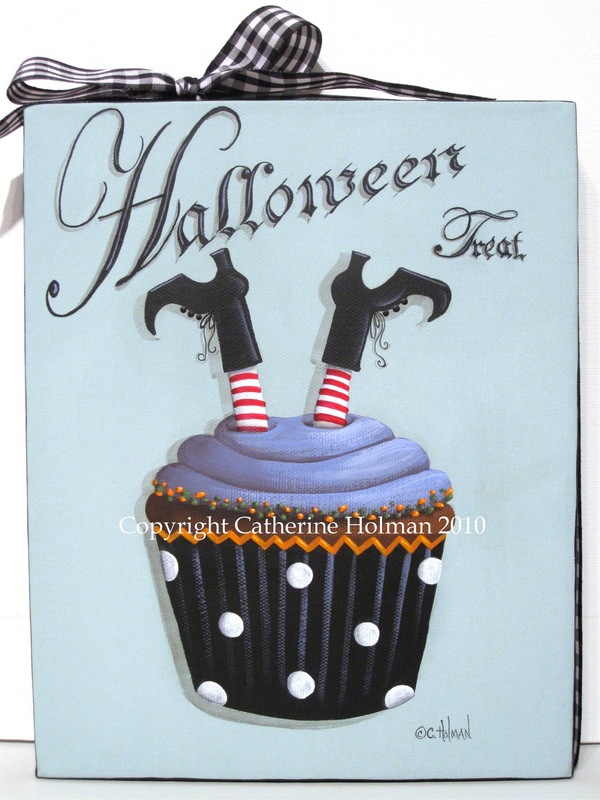 Catherine, this has to be one of my favorite paintings you've done, this is so adorable and imaginative. Beautiful. You captured me perfectly ;) Hugs! ha! This made me smile Cathy! How cute! Love this painting, Cathie. I also love the colors you used..
Creative and fun as always..